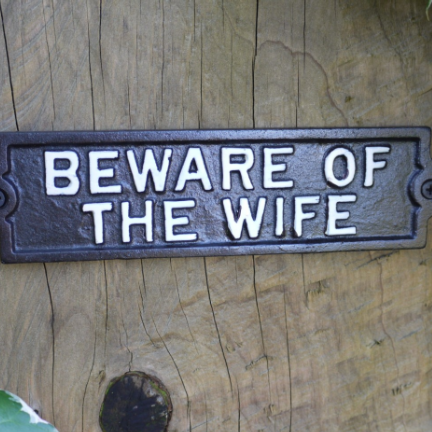 Beware of the Wife Cast Iron Sign – A nice wall mountable cast iron sign in a traditional style. Painted finish. We have more great gift ideas in stock – check some of them out here.